Gov. 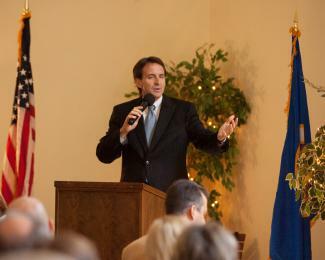 Tim Pawlenty didn't know that his recent visit to Big Lake would help raise $200 for the Big Lake Food Shelf. Photographer Chris Lommel captured the event and posted photographs online. Proceeds from print sales were donated to the food shelf just in time to help feed local families for the holidays.